Polly Hilton and Dancers of West Australian Ballet and Co3 Australia in 'Reincarnation', as part of In-Synch Ballet at the Quarry. Photo: Sergey Pevnev. Undaunted on opening night by a cruel, hot easterly wind gusting through the gum trees in the middle of one of Perth’s energy-sapping summer heatwaves, the performance of “In-Synch: Ballet at the Quarry” triumphed against the elements. Each of the four exceptionally well-performed short, contemporary works in the program – X-It, The Sofa, In-Synch and Reincarnation (a collaboration with Co3 Australia) – had something unique and rewarding to offer. Black structured surrounds framed the stage, which is situated within the three walls of a limestone quarry site, with the larger, centre structure also providing a screen for projections. West Australian-based lighting designer Michael Rippon’s intuitive, creative lighting complemented the aesthetic imagery throughout. Finnish choreographer Johanna Nuutinen’s work X-It opens the program. It is an intriguing, very engaging multi-disciplinary work for six dancers, and explores the ramifications of being constantly under surveillance. With the use of video projections of previously filmed sequences (director of photography Gavin Carroll), the dancers appear to move magically between the stage and into confinement within various rooms. Their slicked-back silvered hair adds to the transcendental ambience. The repetitive, physically demanding movement style, set to a throbbing sound design by Thomas Norvio, was always fascinating to watch because of the constant, seamless switches of dancers exiting the stage and appearing on screen. Impressive performances by Kymberleigh Cowley, Carina Roberts, Claire Voss, Oliver Edwardson, Julio Blanes and Matthew Edwardson showcased their strength, speed, stamina and precision. Matthew Lehmann and Oscar Valdes in 'The Sofa'. Photo: Sergey Pevnev. 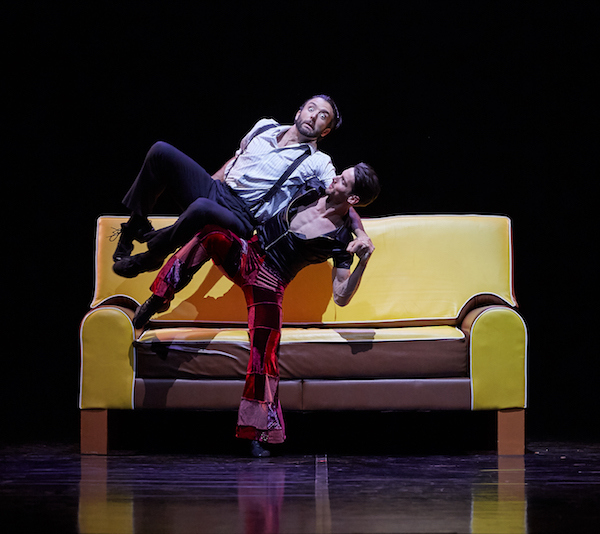 Choreographer Itzik Galili’s comic gem The Sofa is set to Tom Waits’s intoxicating, gravelly rendition of the song "Nobody". 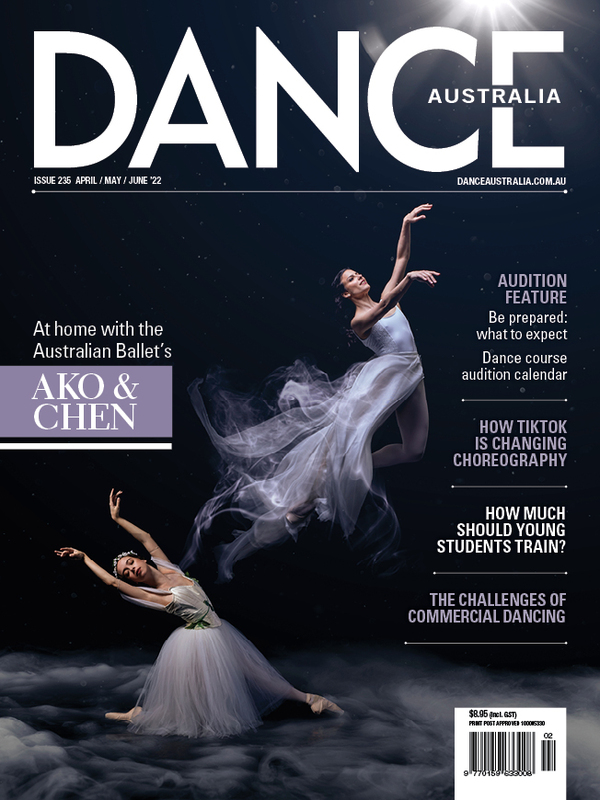 The work was hugely popular when first performed by West Australian Ballet in 2014 and certainly won over the audience again in captivating performances by Chihiro Nomura, Matthew Lehmann and Oscar Valdes who all displayed great athletic ability and panache, split-second timing, wily craft and good-humoured, mischievous comic flair. Juan Carlos Osma and Dayana Hardy in 'In-Synch'. Photo: Sergey Pevnev. In-Synch is a conceptual work created by WAB artistic director Aurélien Scannella and principal ballet mistress/artistic associate Sandy Delasalle, with David Mack rehearsal “Improvisation Provocateur.” The work involves ten dancers improvising to a playlist selected by the audience who, prior to the performance, are invited to text their choice from four modern orchestral soundtracks created for the work; the winning soundtrack on opening night was titled "Baltic Melodrama". With a few metal benches set about the stage, it was absorbing to watch the dancers as they moved and danced about the stage, alone, in pairs, forming into random groups, and at one point dancing in unison in a testament to dancers’ great peripheral vision, and having a brief chat about two snakes sighted in bushland. (Luckily most of the audience couldn’t hear that particular conversation.) New company dancers Dayana Hardy and Juan Carlos Osma thrilled the audience in their eye-catching duets and we look forward to seeing them on stage again in the future. Concluding the evening was Reincarnation, a much-welcomed collaboration between WAB and West Australian contemporary dance company Co3 Australia. Choreographed by Garry Stewart, artistic director of Australian Dance Theatre, it is set to a compelling, evocative electronic score by Brendan Woithe. Reincarnation features symbolic characters: a Queen (Glenda Garcia in a floor length gown mastering the Russian folk dance art of gliding about the stage), a Witch Doctor (Adam Alzaim), and powerful, colourful, deconstructed pageantry. Stewart takes a “somewhat ironic position on the notion of death, rebirth and transformation – themes that are common to narrative classical ballets.” Effectively melding the dancers from both companies, some of the work’s subtleties are clear in the staging and robust, razor-sharp choreography, but at times diminished by the design of some costumes. Stewart’s exquisitely shaped neo-classical choreography for Polly Hilton, clad in a red and gold unitard, in the role of a resurrected "Ballerina", was a highlight in a bold, dazzling performance, with scintillating pointe work, beautifully elongated limbs, silky bourrées and quick-fire supported turns in duets with Matthew Lehmann. 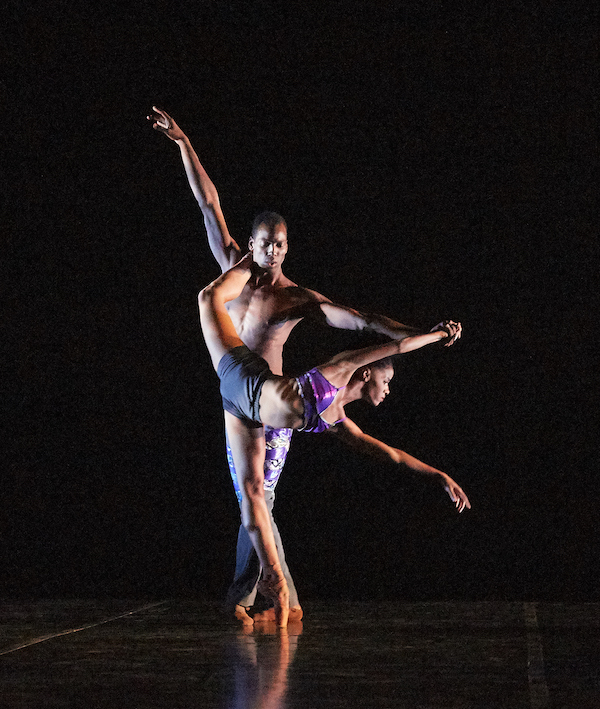 "In Synch: Ballet at the Quarry" runs until March 2. Pictured top: Polly Hilton and dancers of Co3 Australia and West Australian Ballet in Garry Stewart's 'Reincarnation'.